The Magic Flute is a work that continues to bewitch artists and audiences alike. The opera is sometimes seen as a statement on the superiority of reason over superstition, but the real joy of the piece is the way in which Mozart and his collaborator Emanuel Schikaneder, who wrote the libretto, place sufficient doubt in our minds as to whether one realm truly holds sway over the other. 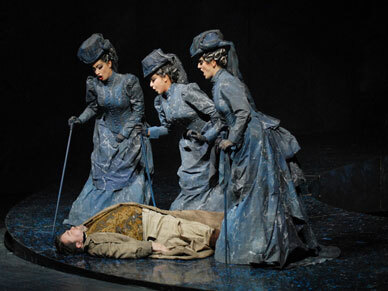 Life, in truth, is rather more complicated and it is no surprise that the opera’s themes have continued to fascinate other writers across cultures, from the British film director and actor, Kenneth Branagh, to the Japanese illustrator, Yoshitaka Amano. A beguiling black comedy, with its characters drawn from a land of fairytales, the Queen of the Night exhorts Prince Tamino and his companion, Papageno, to rescue her daughter, Pamina, from the clutches of the wicked Sarastro and his evil servant, Monostatos. As a sign of good faith, he is given a magic flute to protect him. 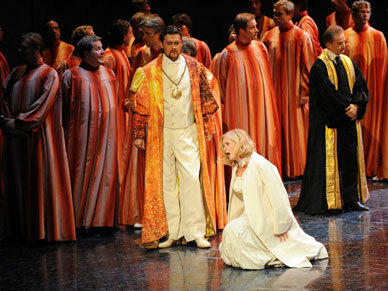 Arriving at Sarastro’s palace, Tamino receives a conflicting account of events, casting Sarastro as Pamina’s protector. The prince must decide who to believe - Sarastro or the Queen of the Night - and undertake three trials in order to win Pamina’s hand. The story is a masterstroke from Schikaneder that, for good to triumph over evil, demands that its characters be prepared to take a blind leap of faith. So much for the power of rational thought. This delicious irony would not have been lost on a genius like Mozart. In The Magic Flute he clearly delights in complementing Schikaneder’s demand that we suspend our disbelief by demanding musical performances of his soloists that were at the very limits of what late-eighteenth century audiences would have thought possible. Published before The Clemency of Titus, but the last of Mozart’s operas to receive its first performance, The Magic Flute was premiered at the short-lived Theater auf der Wieden in Vienna on 30 September 1791, with Schikaneder playing the role of Papageno, Mozart conducting and, one can surmise, its composer probably smiling throughout. 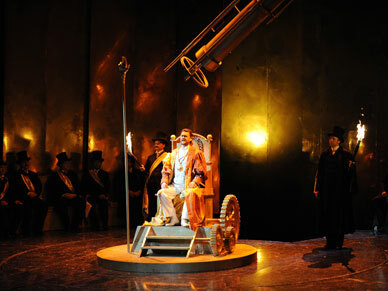 Many believe that The Magic Flute was Mozart’s favourite opera; certainly it has proven to be his most popular. Now the Wiener Volksoper provides the venue for this magical piece of musical theatre.